Many people hope that they will never be disabled or poor, however, the biggest myth that many people are countering today that they will be able to pay for themselves in their old age. A majority of people are actually not able to do this. One in three individuals who turn 65 will end up in a nursing home at some point over the course of their lives and research from the Kaiser Family Foundation shows that 62% of them cannot pay the bill on their own. When you run out of assets, Medicaid steps in to pay. The Medicaid program could have hundreds of billions of dollars less to spend, however, if the current Medicaid debate in Washington leads to significant cuts. The average annual cost of a nursing home for a semi-private room is $82,000, according to Genworth Financial. Most people cannot afford to pay that amount and certainly not for a long period of time, particularly if they have already spent a good portion of their retirement for the 10 or 20 years prior. If a spouse has already needed years of expensive care, then the other partner is even more vulnerable. Talking to an experienced estate planning lawyer about your options for planning for Medicaid is extremely important. It is a responsibility to do your planning and it’s not unethical to look ahead towards how to qualify for Medicaid legally. 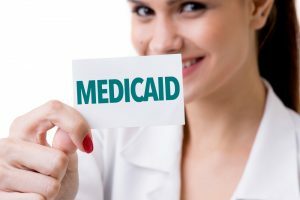 Medicaid is a complicated program fraught with rules and regulations, which is why you need an estate planning or elder law attorney who knows the landscape and can help walk you through these issues up front.